Home / DaraFolk News • Photography / “The Claddagh ring”. 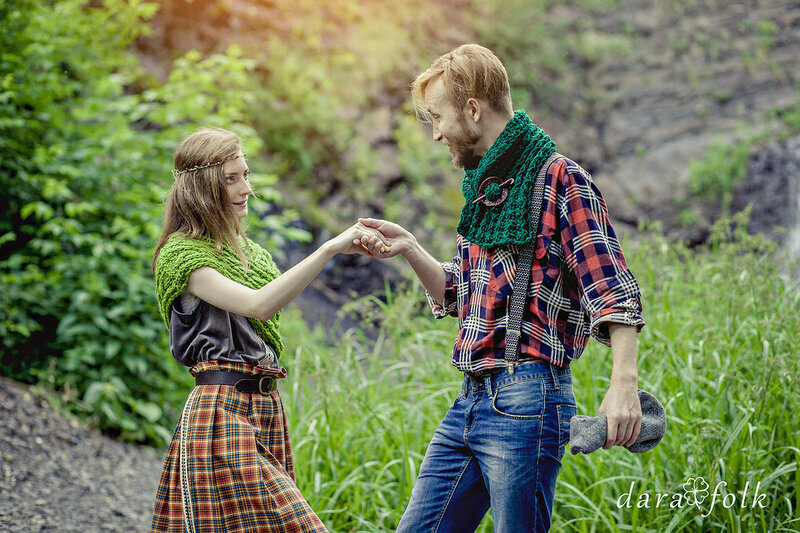 Photo session in the style of celtic traditions "The Claddagh ring". 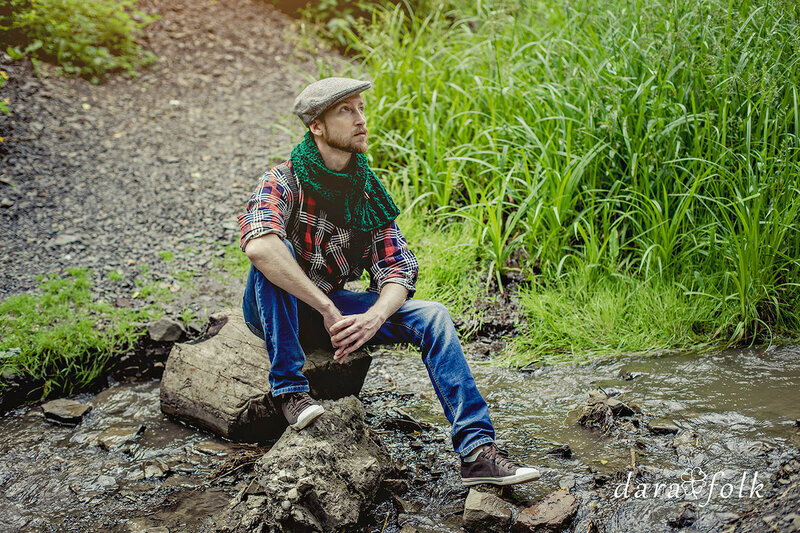 Photo session by DaraFolk Fashion. Photographer : Anastasia Dolgova. Models: Elizabeth Nazarova, Aleksey Turkin. Style & Design: Daria Evtushenko. While shooting a new-coming collection of clothes designed by DaraFolk, you get not only photos, but amazing stories too. As frozen shots from some film. Photo session is a kind of event that needs to be done slowly and steadily. You think over the story, the style, choose clothes, select make-up and look for an eye-catching place. Today we have a romantic story about two people. The young man is giving to his love the Claddagh ring. 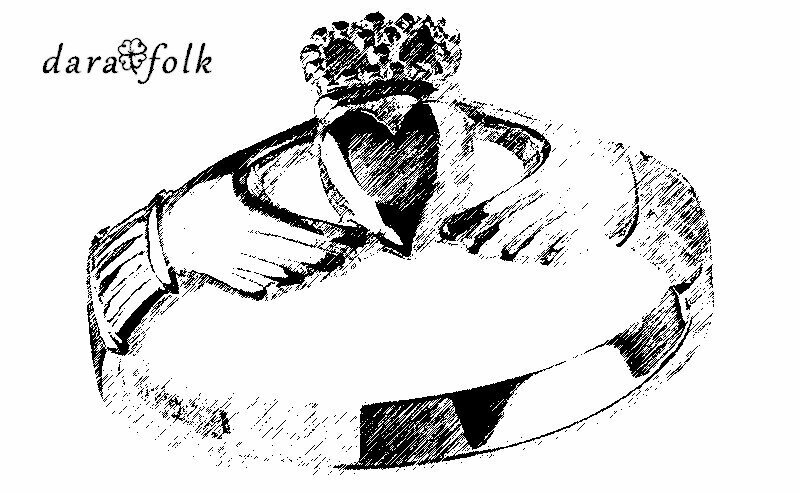 The ring originates from Ireland and represents two hands, holding a heart with a crown at the top. The Claddagh is penetrated with celtic symbolism. On the inner hoop of the ring the phrase is written: ‘’Grá, Dilseacht, agus Cairdeas’’. In translation it is love (the heart symbolizes it), loyalty (the crown) and friendship (hands). The interesting fact is that the Claddagh is worn not only as a symbol of engagement, but friendship too, and even if you are only searching for love. The point is that you should wear it in a right way. For instance, the ones who are having a relationship, place the ring at the right hand with the point of the heart toward the wrist, and those who are single have it on the right hand with the heart toward the fingertips. In Ireland this jewelry and custom are still popular, followed by both guys and girls. 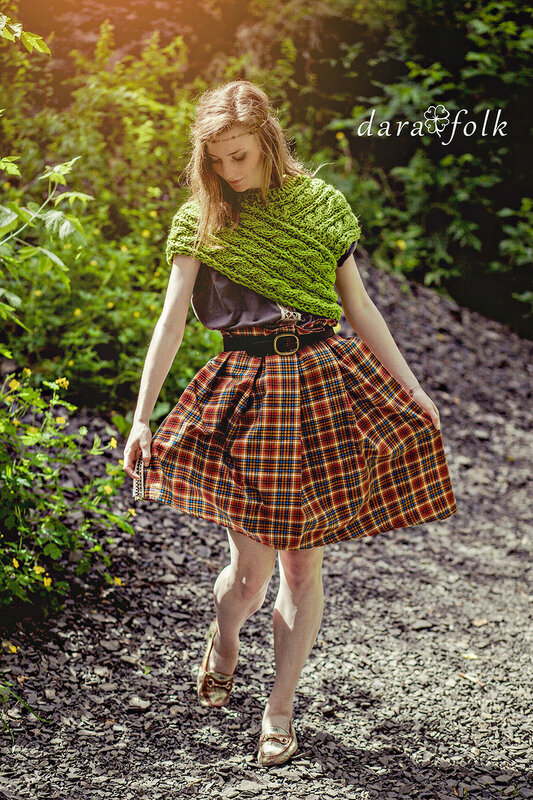 The DaraFolk's designer Daria Evtushenko. Beige palette of the ethnic pattern. The handmade jewelry in boho style. Gathering herbs for Siberian Pu-erh tea.